We do adhere to strict recycling procedures We encourage all members to be environmentally friendly. 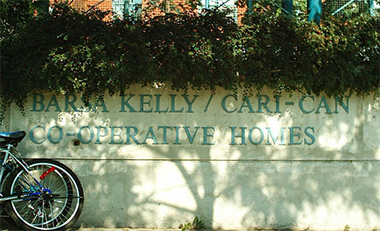 Barsa Kelly/Cari-Can Co-operative Homes Inc. is a non profit housing co-oporative initiated by a group of community minded people who recognized the need for quality affordable housing. These people came from two groups the Ontario Coalition of Visible Minority Women and the Congress of Black Women of Canada. The Co op opened its doors in August 1993 and it has been home to many families and many of whom are still living here. The Co-op is open to people who support co-operative principles and want to be part of a racially and culturally diverse community. Please call us 416 252 7080 to find out our latest news, offers, contests & special events. 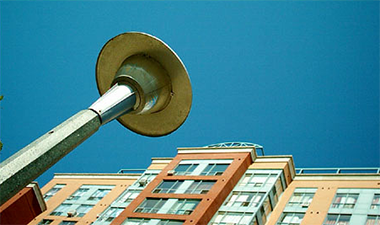 A housing co-operative is a non-profit corporation. The corporation owns the housing complex and the members of the co-op collectively own the corporation. 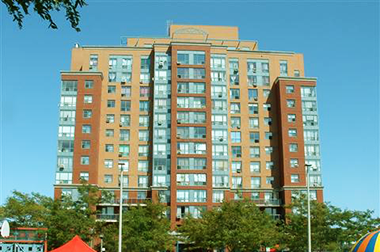 Members pay housing charges which are based on the co-op's operating budget. Members contribute their time and abilities to the management and operations of the of the co-op. Members run the co-op and the co-op works if the members work. Each adult member has a vote in all matters of concern to the co-op including the setting of the housing charges. Members of the co-op are excpected to join one of several committees. The committees all work towards the common goal of making the Co-op safe, secure and a happy place members can call home. Everyone is welcomed and you feel as you belong. You must submit an application form with all the requested information. You can download the form by clicking the button below. The completed form can returned by FAX or Mail or delivered directly to the office. You must attend an orientation meeting. This meeting is held at the common room of the Co-op and scheduled at the convenience of the applicants. The management office will always verify the information submitted by the applicant, including carrying out all the necessary credit/rent check. You will be invited to attend an interview with the Member Selection Committee. The Committee will then make its recommendations to the Board of Directors. The board makes a decision based on the committees recommendations. If you are approved, you will be offered membership pending occupancy. The application process can be completed within two weeks. Barsa Kelly/Cari-Can Co-operative Homes Inc.